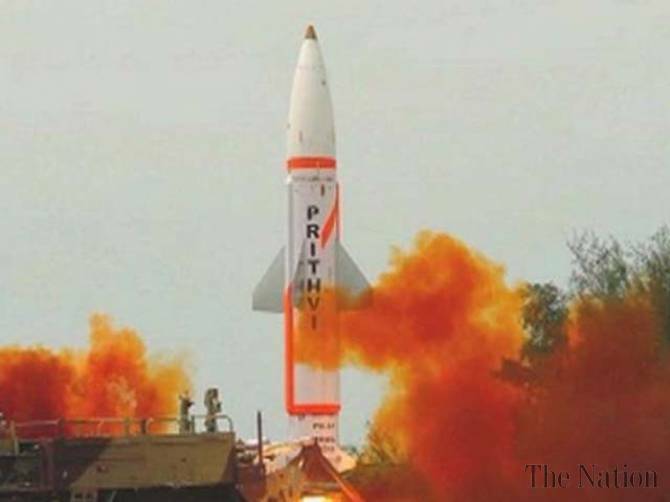 Bhubaneswar : India Thursday successfully test-fired its nuclear-capable Prithvi-II surface-to-surface missile from a military base in Odisha, a senior official said. The indigenously-developed ballistic missile with a maximum range of 350 km was fired from the Integrated Test Range at Chandipur in Balasore district, about 230 km from Bhubaneswar. "It was a user trial by the Strategic Forces Command (SFC) of the Indian Army. The test was successful. It met all mission objectives," test range Director M.V.K.V. Prasad told IANS.